I try not to be a last minute kind of person. Before the triplets, I never was. But something about doubling our family overnight turned me into a fly-by-the-seat-of-my-pants kind of gal. Pair this with the fact that I live in a rural area and it makes for interesting craft projects sometimes. I can’t just run to the store and buy what I need whenever I want. Our closest store with any kind of craft supplies is about 35 minutes away. For this reason, I’ve become an excellent improviser. 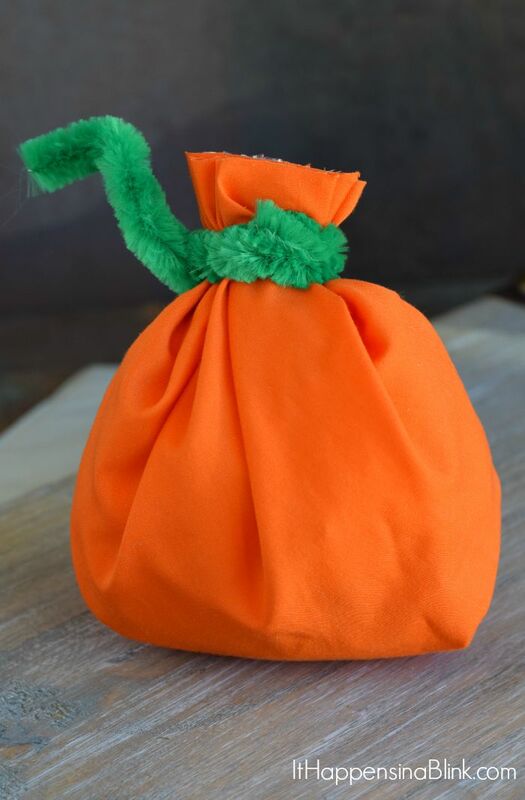 Today’s Easy Fabric Pumpkin Treat Bags (filled with yummy popcorn) project was born out of improvising. 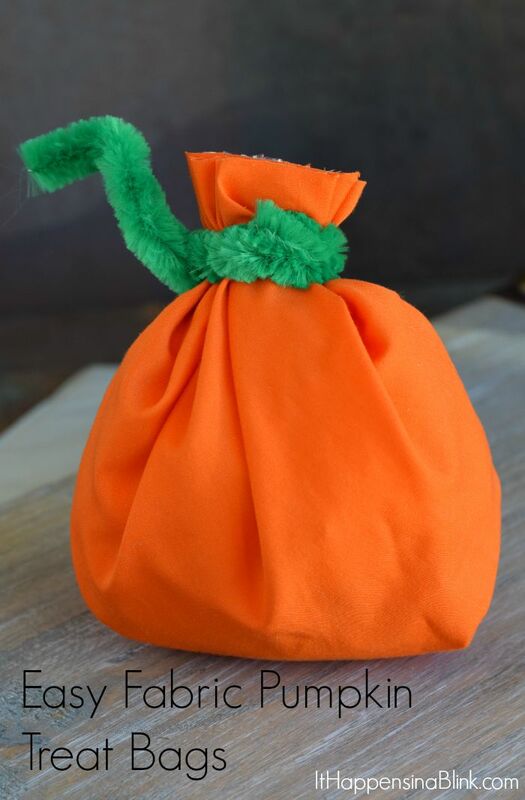 I love fall and fall crafting projects, and I really wanted to make treat bags that looked like a pumpkin. Because, isn’t everyone pumpkin crazy this month? But I didn’t have any pumpkin treat bags. And I didn’t have any paper treat bags that I could color like a pumpkin. But I had orange fabric. And that’s really all I needed. Good news for those of you that do not sew- this is a no-sew project! The fabric can be unfolded and used as a snack table cover. The fabric I’m using is actually from a (clean and new) sheet. I found the sheet on clearance for a few bucks several years ago, and it has been great for having scrap fabric around. 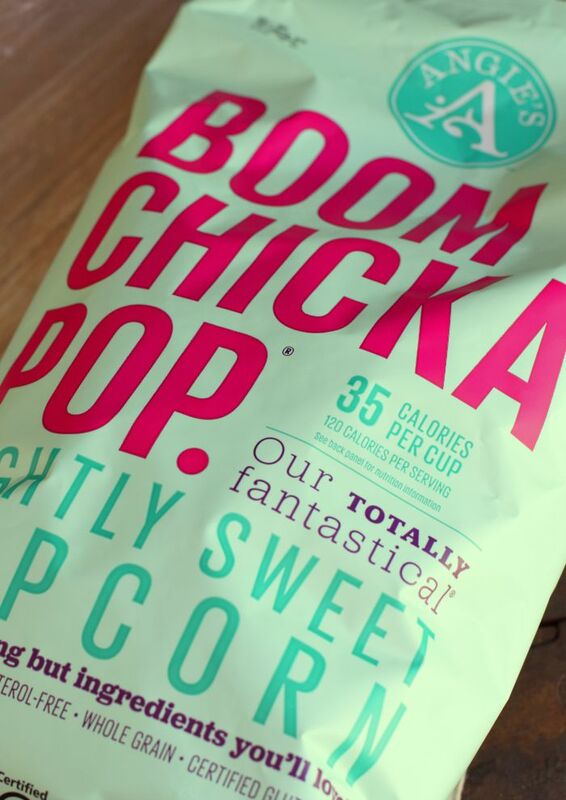 I’m filling today’s snack bags with BOOMCHICKAPOP Lightly Sweet Popcorn. 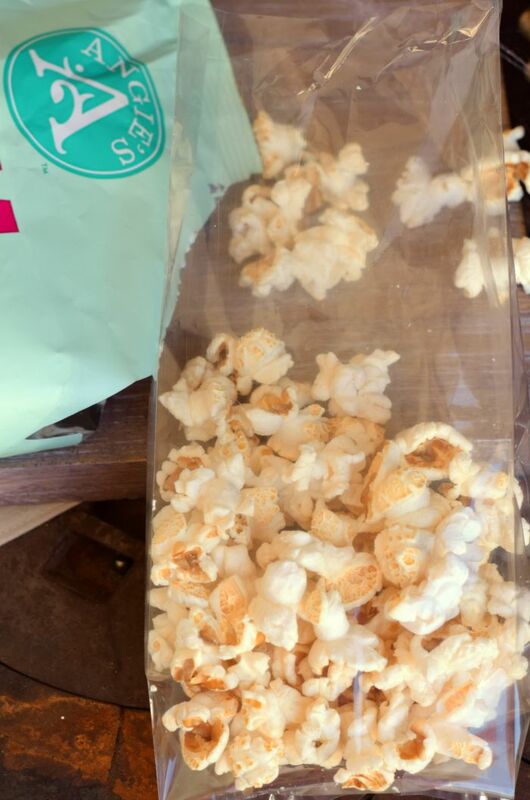 Fill the treat bag a little more than half way with popcorn. 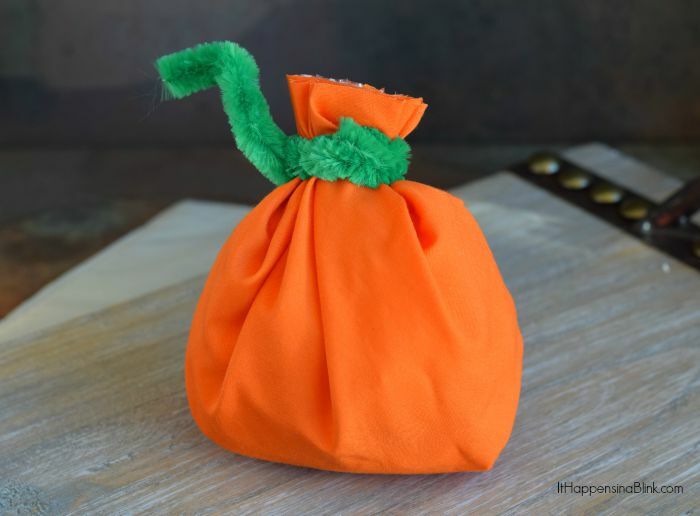 Wrap the bag with the orange fabric scrap and secure with the green pipe cleaner. Use scissors to cut down the fabric and bag down right about the stem. Maneuver the pipe cleaner in such a way that it looks like a pumpkin stem. Super easy, right? This is simple enough that older kids can do this craft, too. If you have fabric markers, you can also let the kiddos draw jack-o-lantern faces on the front! super cute! what a great idea for a healthier halloween treat. Love this – simple and cute idea!